AET Flexible Space has recently completed commissioning new equipment installed in the refurbished office buildings at the Cathedral Hill Campus, Guildford. The Campus, comprising three buildings, is now wholly owned by Europa Capital and Edison Real Estate, who have fully refurbished the original buildings constructed in 2001. 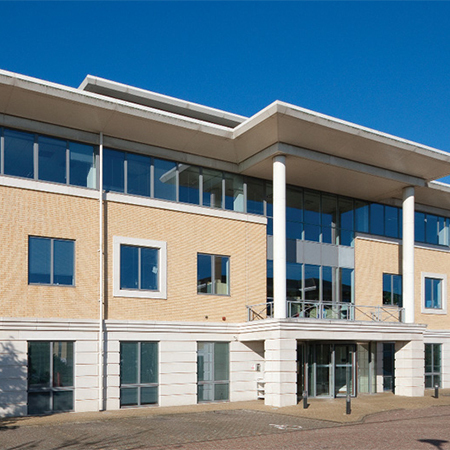 The equipment was supplied to end user occupier, Avaya, who lease part of Building 1000 as their headquarters and commissioned a fit-out refurbishment of their space, including the Atrium area serviced by AET Flexible Space underfloor air conditioning. 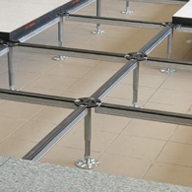 With underfloor systems, the whole plenum under the building’s raised access floor becomes the duct, or ventilation zone and each floor is divided into separate zones; ideal for multi-tenancy occupation or corporate division. 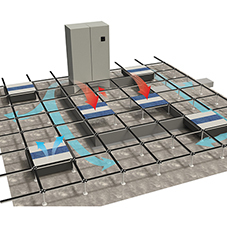 Each of these zones is supplied with fully conditioned (chilled or warmed) air, which is fed into the plenum by the zonal downflow units (CAM), and then supplied into the workspace via Fan Terminal Units (Fantile). The Fantile units feature integrated controllers where users can personally adjust fan speed and temperature to suit their own comfort; which can have a positive impact on user wellbeing. AET supplied 1 x CAM-C 15 and 1 x CAM-C25 downflow units and 25 TU4 Fantiles as the original equipment to Building 1000 Cathedral Hill in 2001. This was for the 286 m2 Atrium area of the 1500 m2 building; the occupier at the time was the serviced office specialist, Regus. The restricted floor to ceiling height of the main office space did not permit full building installation of underfloor air conditioning, but it was deemed appropriate to serve the Atrium area. The fit-out works for Avaya were carried out by main contractor, Realys, and AET worked with M&E contractor, AMD Environmental on the recent project. The 2017 upgrade was a near like for like replacement of the original equipment, 2 x CAM-C 25 downflow units, and new TU4 Fantiles with EC fan technology for enhanced energy savings. Additionally a new Flexgateway module was installed to interface communications with the main BMS.